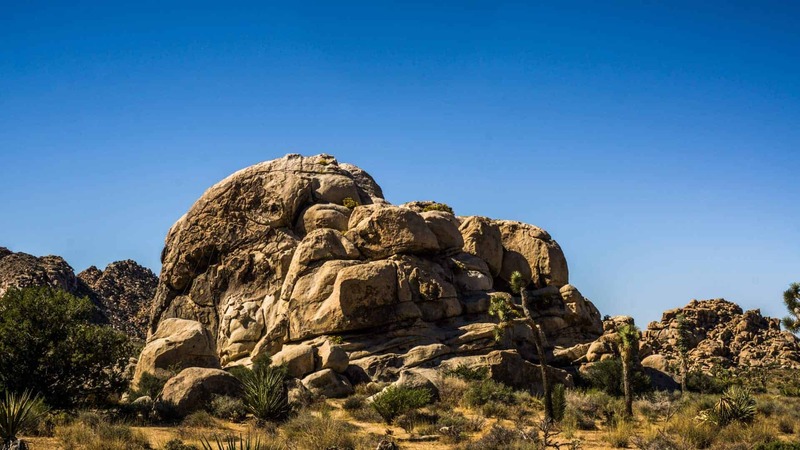 Tucked in the desert region of Southeastern California, Joshua Tree is a known climbing mecca among dirtbag climbers. But you don’t have to be a world class climber to enjoy the thrill of climbing in this unique area. 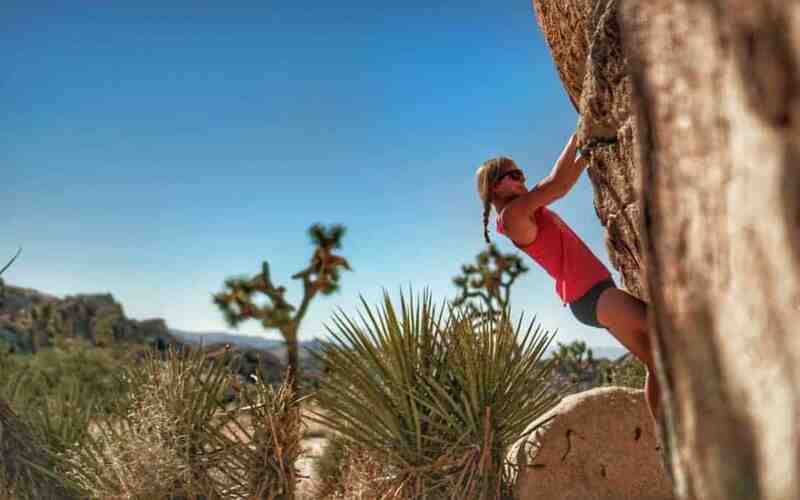 There are some stoke-worthy beginner climbs in Joshua Tree National Park. As avid outdoorsmen, we are always seeking out the most unique ways to experience the outdoors. 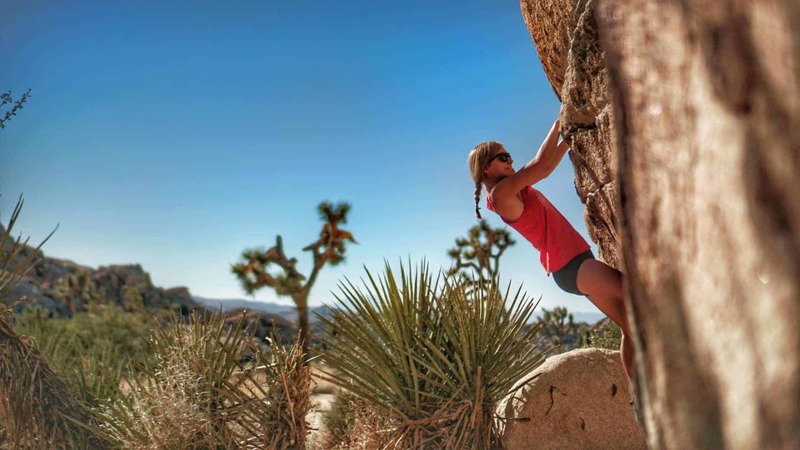 In Joshua Tree, it’s a no brainer to climb and boulder. But many beginner climbers are daunted by the sheer size of Joshua Tree. 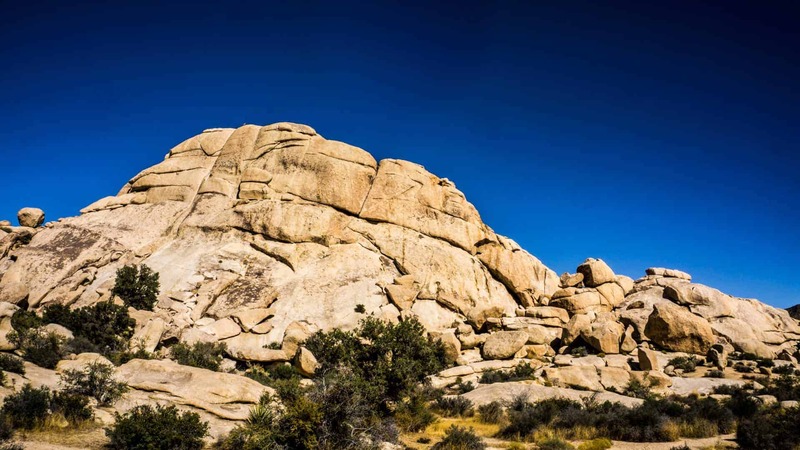 So we’ve put together a list of beginner climbing and bouldering in Joshua Tree National Park. 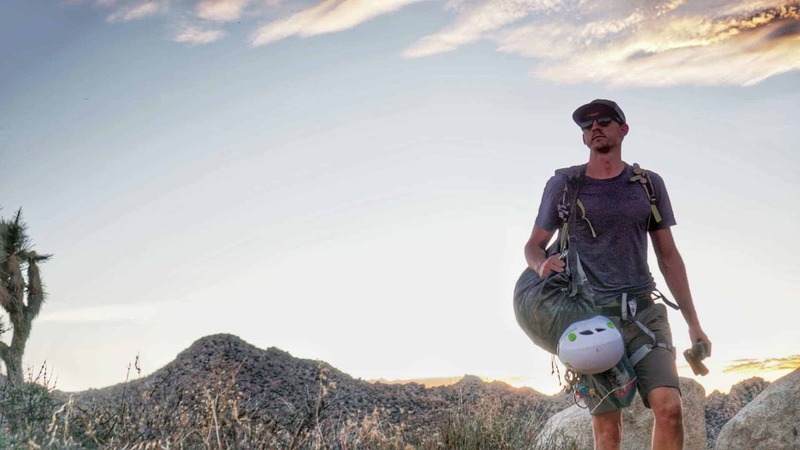 A word of advice before we start this list: if you are going to climb Joshua Tree, make sure you have an extra length of static line, such as this SafetyPro 10mm Static Rope, to set and extend anchors. We picked up an extra 80-foot static rope before setting off on our climbing, and that made a huge difference in our ability to set anchors properly. In addition to this blog post, it would be worthwhile to pick up a climbing guide, such as this one, to properly locate routes. Joshua Tree is full of awesome climbs and it can easily become overwhelming without some guidance. 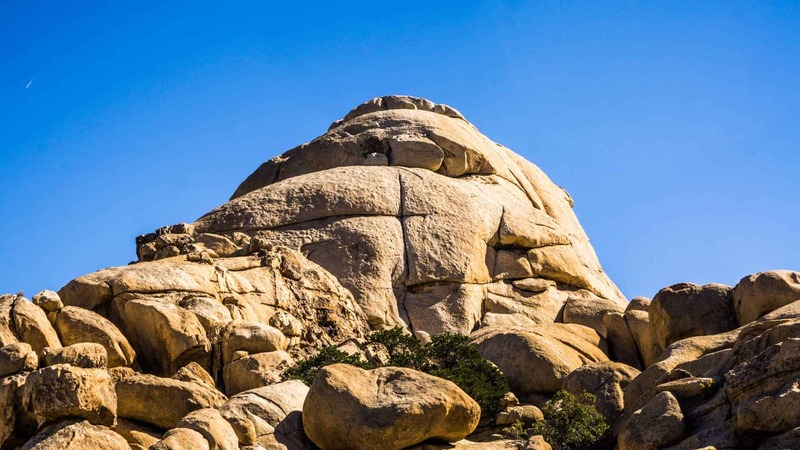 One of the first climbing areas you come to from the west entrance (in the town of Joshua Tree) is Trashcan Rock, just 5.8 miles from the entrance. Trashcan Rock is a great climbing area, with routes ranging from 5.0 to 5.12b as well as some bouldering problems ranging from V0+ to V5. It’s located in the Quail Springs Picnic Area, which has signs from the road pointing to to the parking lot. 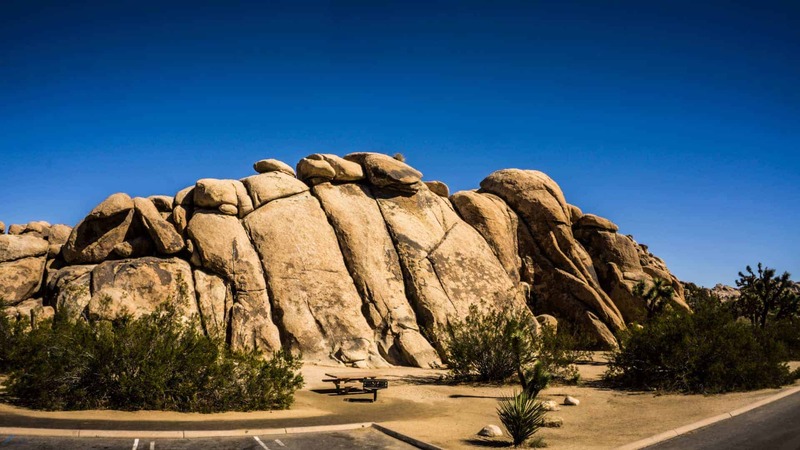 The great thing about many of the climbing areas in Joshua Tree is that there is usually a walk-off route. What that means is that you can scramble to the top, set an anchor, then top rope the route if you are not comfortable just yet in trad climbing. For Trashcan Rock, the walk-off/scramble up route is on the north end of the formation. 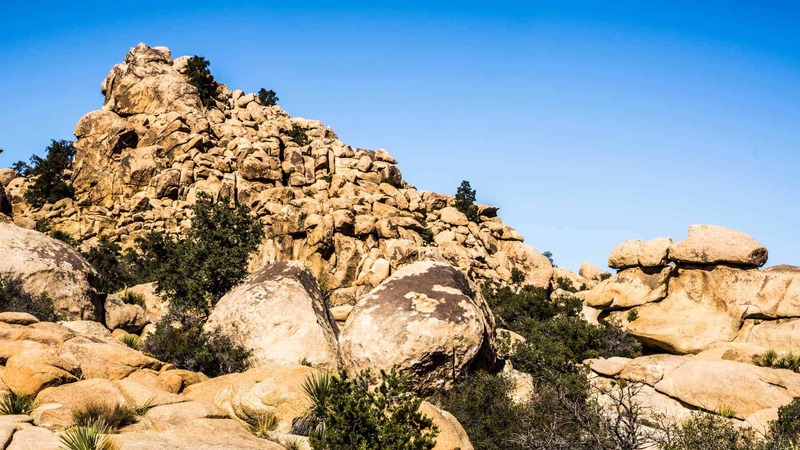 If you aren’t into climbing or bouldering, Trashcan Rock also offers a wide variety of formations that you can scramble, or lightly climb without ropes, up and see a beautiful view of Joshua Tree National Park without an obstructed view. Lizard’s Hangout is a fun climbing area for all skill levels. With routes ranging from 5.2 to 5.11c, there is a lot to choose from. The 5.2 route is a great beginner route, with large jug holds that look like dinosaur scales going up the route. This route, called Goeb’s Goes Gecko, is on the southeast side of Lizard’s Hangout, in a nice shady spot that’s great for getting out of the hot sun in the afternoon. Lizard’s Hangout is about 7.2 miles from the West Entrance of Joshua Tree National Park and has a small turnout for parking in front of Roadside Rock. Also in the same area is Mel’s Diner. In the same vicinity and just southwest of Lizard’s Hangout is Mel’s Diner. Mel’s Diner has plenty of climbing routes, but what we enjoyed was the bouldering rocks in front of the formation. Follow the path southeast just in front of Mel’s Diner and you’ll come to several large boulders with lots of great problems. For some fun beginner bouldering, try the traverse on the north side of this boulder. 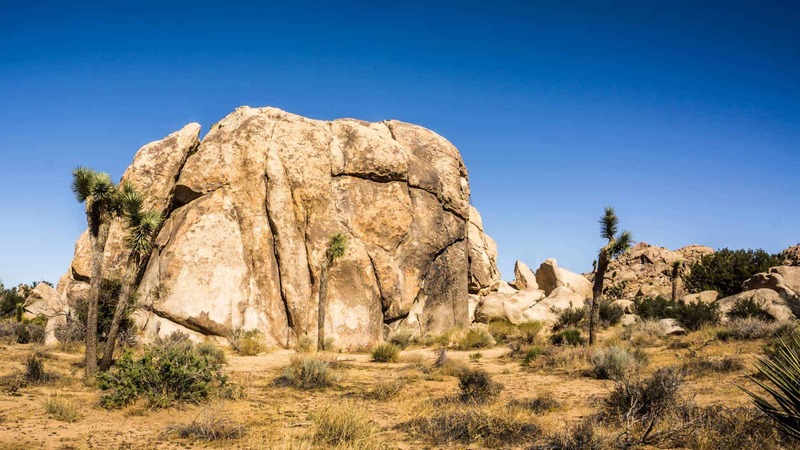 The Blob is exactly what it sounds like: a big blob of rock in the middle of Joshua Tree National Park. This large, Jabba the Hutt-esque rock formation is home to dozens of rock climbing routes, ranging from 5.2 up to 5.10c. For beginner climbs, the North Face offers routes starting at 5.4 and the West Face offers even easier routes starting at a 5.2. There are easy descents on both the north and south end of The Blob. To get to The Blob, park in the Intersection Rock parking lot and follow the path on the northwest side of the parking lot. Take the path that goes around the west side of The Old Woman formation and the next formation will be The Blob. There are plenty of bouldering opportunities in this area as well. Just to the north of The Blob, Dino Eggs offers some easy bouldering. 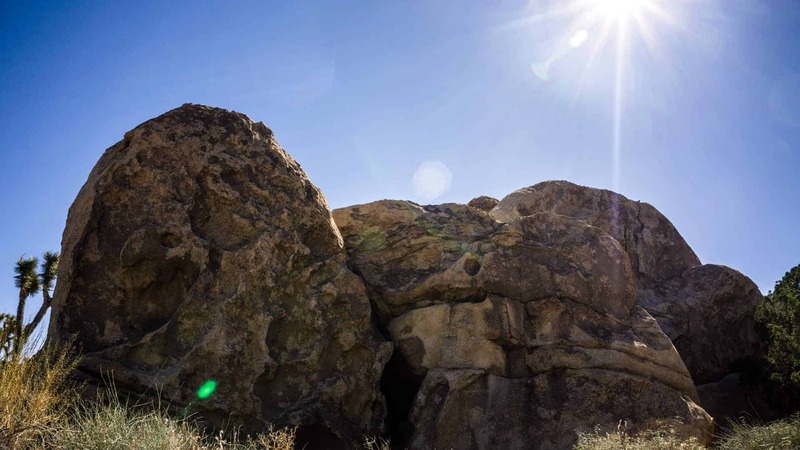 There are easy bouldering problems on this boulder as well as some more difficult problems for the more adventurous or more experienced climbers to tackle. Dino Eggs is a great place to hang out and try a few different problems in different skill ranges. Gunsmoke Traverse is a great horizontal crack traverse that is fun for all skill levels. Since you never get very high off the ground and the ground is solid and flat beneath the traverse, it’s easy to simply jump off when you feel uncomfortable. Although you need some stamina to make the full traverse, it’s simple to go as far as your skill and strength allows before hopping down a couple feet to the ground beneath you. Of course, use your own judgement and comfort level before trying any bouldering problems, but we were comfortable without using a bouldering pad on this problem. 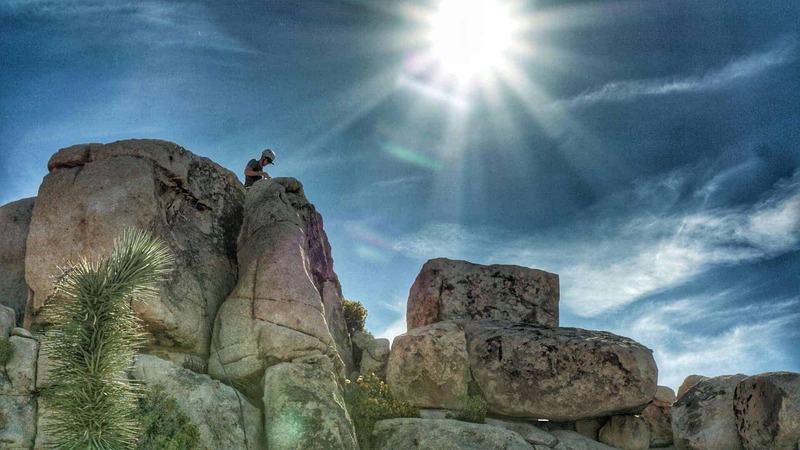 These routes just barely scratch the surface of awesome beginner climbs in Joshua Tree. 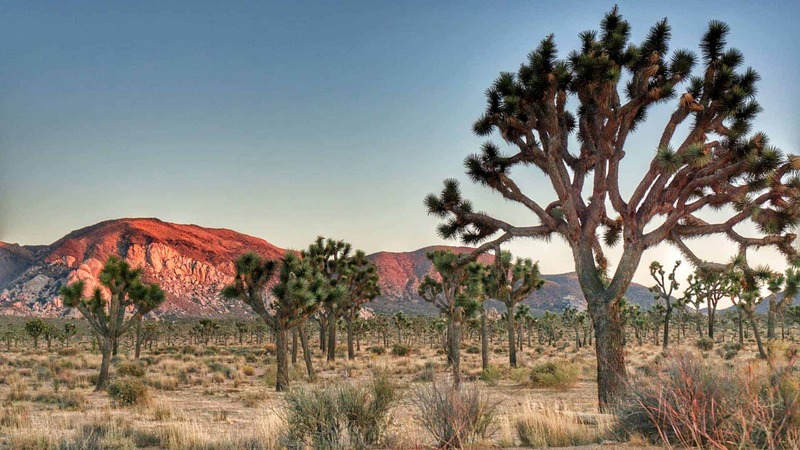 With a vast expanse of landscapes and literally thousands of climbing routes, it would take a lifetime to climb all of Joshua Tree National Park. This is definitely an area we recommend taking some time to explore, whether you are a climber or not. 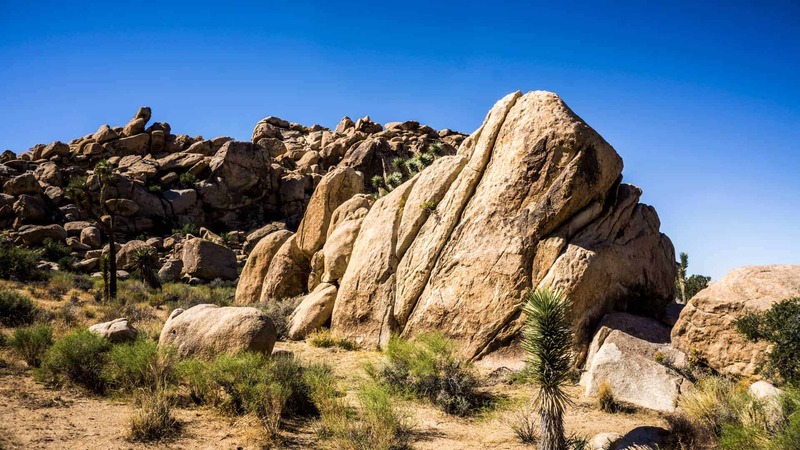 From rock climbing and bouldering to hiking and sight-seeing, Joshua Tree National Park offers opportunities for everyone to have a one of a kind experience.